Gerrit Berckheyde – Prince William V Gallery 690. 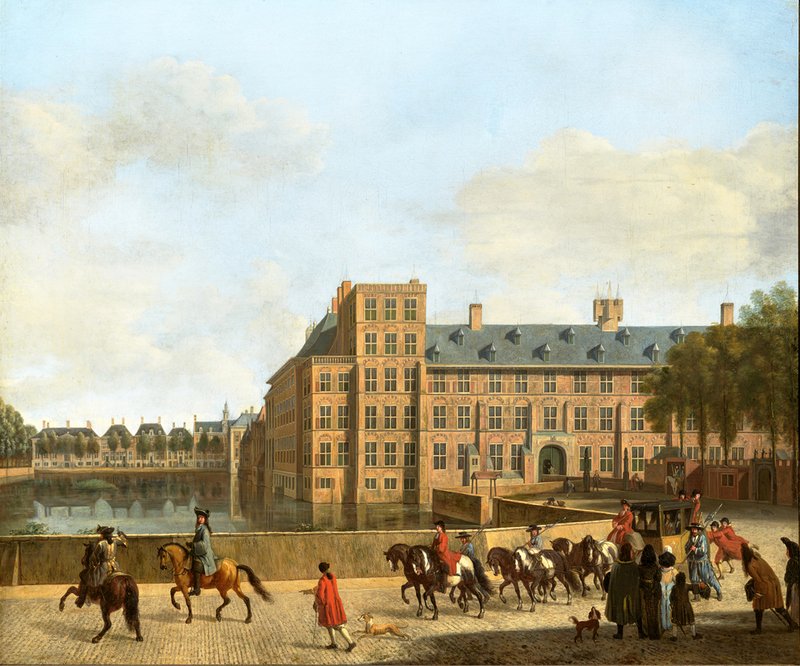 Title: A Hunting Party near the Hofvijver in The Hague, Seen from the Buitenhof. Date: c. 1685-1690. Materials: oil on canvas. Dimensions: 53.7 x 63.3 cm. Inscriptions: Gerrit Berck heyde. Hughtenburgh. Nr. : 690. Sold by Koller Auktionen in Zürich, on March 27, 2009. Source: https://www.mauritshuis.nl/en/discover/prince-william-v-gallery/highlights-gallery/a-hunting-party-near-the-hofvijver-in-the-hague-seen-from-the-buitenhof-690/. I have changed the contrast of the original photo. This entry was posted on July 8, 2015 by adfarga. It was filed under Gerrit Berckheyde, Prince William V Gallery and was tagged with Gerrit Berckheyde.